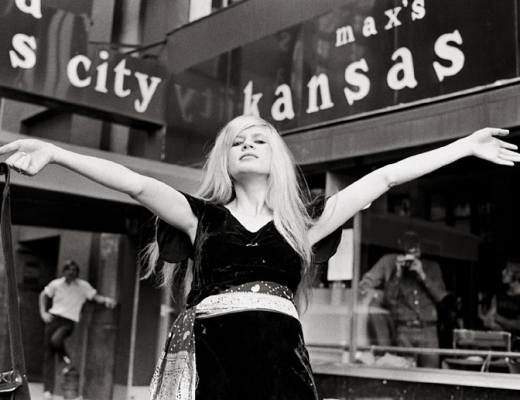 At no other time in history has there been a more exciting collision of art, music, and fashion than at Max’s Kansas City from the 1960s to the early 80s. Max’s was the place where you could stare at Andy Warhol, argue about art with Willem de Kooning or John Chamberlain, discuss literature with William S. Burroughs, and get a record deal just by showing up. If downstairs the artists were paying their tabs with original art, upstairs was home to the iconoclastic New York music scene, with performances by Max’s house band, the Velvet Underground; the irreverent New York Dolls; and undiscovered musicians such as Bruce Springsteen, Bob Marley, Blondie, Iggy Pop, and Madonna. A luminous collection of photographs that captures the exuberance and decadence of the coolest club of all time, as well as essays by Lou Reed, Lenny Kaye, Danny Fields, and Steven Watson, Max’s Kansas City is a stun­ning souvenir of one of New York City’s most important cultural landmarks.